Hillcrest22 family run guesthouse, with its 8 en-suite rooms is now open after extensive restoration and provides a haven for relaxation in Keswick. With panoramic uninterrupted views over Derwentwater to the head of Borrowdale, Hillcrest22 is ideally situated in the heart of the Lake District. 22 of ‘Wainright’s fells' can be seen from the house. Hillcrest22 was built by the then Lord of the Manor Reginald Dykes Marshall in 1887 as part of the imposing properties on The Heads at Keswick. The exterior remains the same today, but the interior has been designed to provide comfortable and contemporary facilities whilst remaining loyal to the past. All bedrooms are situated on the first and second floors and all have views of the surrounding fells. The front of house rooms have views across Derwentwater to the head of Borrowdale and Great End whereas the rear of the house looks over Keswick and the Moot Hall to the northern fells of Skiddaw, Latrigg and Blencathra. The rooms at Hillcrest22 are stylish and simply furnished with locally hand-crafted furniture and some antique pieces. 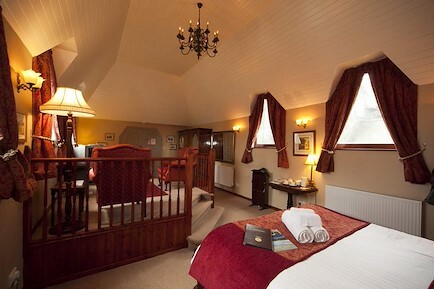 All rooms are en-suite with the option of a king size or twin beds. Your enquiry will be sent directly to HillCrest 22 Guest House. Please fill in as much detail as you can.